On behalf of admin of JML Law, A Professional Law Corporation posted in wrongful death on Monday, Jun 04 2018. Death is always a painful thing, it causes emotional heart aches alongside a lot of distress. When you know that this death was due to the impact of someone else’s actions the pain is even stronger and a need to hold someone to account is very strong. 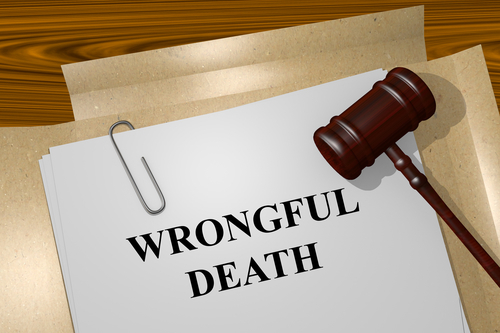 Alongside this a wrongful death lawsuit can help you claim compensation to recover costs towards financial liabilities caused by the death. Death by car accident: often a lot of car accidents can be so dangerous that they can result in causing death. This is often caused by the negligence of another driver like drinking and driving or running a red light. Any sort of driving that is considered as dangerous and results in the death of a person involved can result in a lawsuit where the driver of the wrong vehicle can be held accountable. Truck accidents: A truck accident can be even more dangerous than a normal vehicle accident. This is because not only is a truck larger in size but also volume causing any accidents that they are involved in to be very dangerous because of the sheer size of the vehicle. Medical malpractice: We trust doctors with our health, the most important thing to us. Occasionally it does happen that these trained professionals can make wrong decisions that lead to the death of a loved one, when it could have been avoided. This could be because certain rules and procedures were not followed. There also are instances when patients to hold a doctor is aware, and the operation results in the death of a patient the doctor can be held liable. An accident in the workplace: When we go to work we expect our employer to make sure the environment we are in us safe for us to perform our contractual duties. Sometimes it can happen that the work environment will not be up to scratch and that could lead to a lot of injuries and even death. Something like a faulty ladder or even asbestos or chemical poisoning can result in the employer being held into account. The amount of compensation that can be claimed is dependant on whether the employer was aware of the fault or not. If the employer was aware of the fault then the compensation that can be received will be far greater. Often wanting hold someone to account for a wrongful death of someone can be overwhelming especially when you know who is to blame. It is very important at a time of bereavement when your head is filled with emotion to have a Los Angeles wrongful death lawyer on your side to make sure everything is done right. If you have been faced by the devastating impact of a wrongful death case that has been detrimental to you and caused in you an emotional upheaval then Wrongful death lawyers in California are here to fight for your rights. If you need advice and help from a wrongful death lawyer in California call JML law on 818-610-8800.